First of all, this smells like cookies which is amazing! 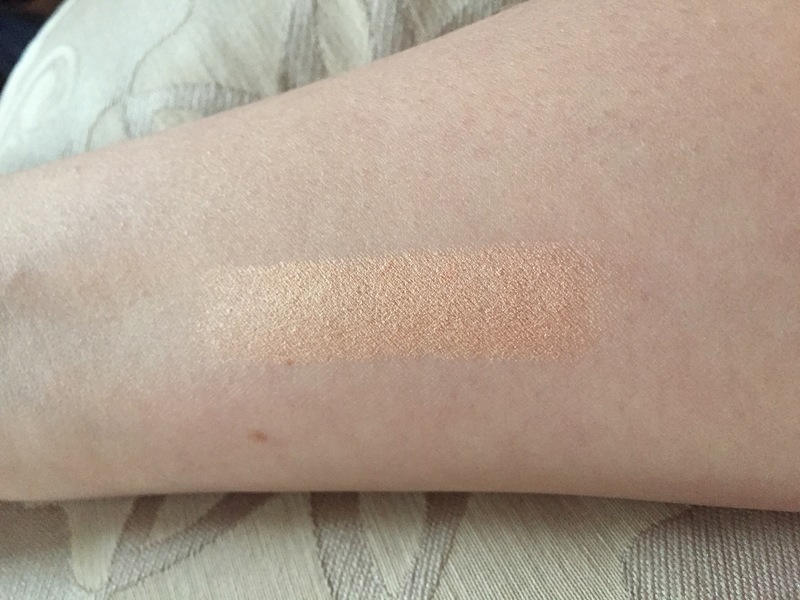 This is the first highlighting product I have ever used and so far I love it. This is in my current panning project because I don’t seem to reach for it as much. It has been sitting in my makeup drawer for a while and I want to use it before it goes off. It reminded me how much I love it so I’ll enjoy using it! Especially in time for the holidays. The fact that it is in the form of a thick crayon, I swipe it on my cheeks, smooth it in with my fingers and use any excess for the other parts like my nose and all. I can use a little, just one swipe, or I can build it up by layering more which I like. I like being in control of just how much I’m building up on my face. I like that it is quick and easy to do, I’m talking like 25 seconds to perfect highlighting! The smell is a bonus obviously. They also have this in a pink shade but I have yet to try that one out. It is available at Sephora and it is not very expensive which is nice of course. I would recommend this one to anyone who is interested in getting started with highlighting as it is simple to use this one. Plus you don’t have to go out and buy the fan brush for this as you can easily use your finger. Here is a swatch of it on my arm so you can see how it looks. Have you guys used this one? Or maybe their pink one?